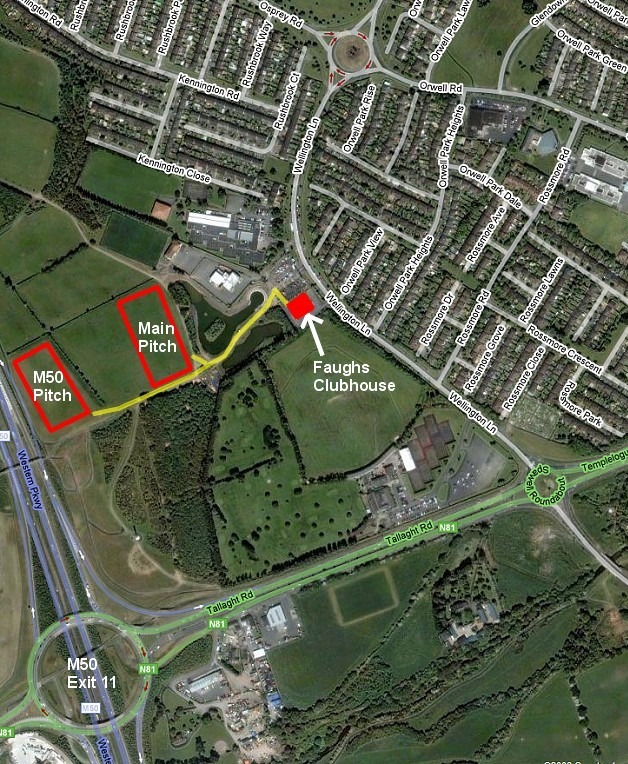 Clubhouse and main pitch is at the Wellington Lane, Templeogue, entrance to Tymon Park. From M50, take exit 11 (N81/Tallaght exit) and head towards city centre / Templeogue on the N81. At the first (Spawell) roundabout turn left onto Wellington Lane (signposted for Crumlin). Clubhouse entrance is 500m from the Spawell roundabout on the left hand side. Click on map below to see location on Google Maps.